Being a life coach has served in many ways but not always in times when stepping back and holding space for others could have served a much deeper and profound purpose. Not needing to “fix” it or direct in some way. Simply and openly holding a kind and loving space. This has now become part of my coaching practice. Acceptance of others is one of the great lessons on this journey. It Empowers us, Frees us, Lightens us and in turn radiates out inviting and evoking the same in others. So many of us say we’re loving unconditionally, but are we really? Are we holding the space for others to have their own journey, their own experiences, without feeling the need to give our opinion of what WE think they should change based on our beliefs and rule systems? I humbly admit it, I’ve said that I loved unconditionally. But honestly, at times, I haven’t. I’ve had expectations, especially in intimate relationships, and had ideas of what I think others should do, say or be. Looking back, I can clearly see that there were times I disempowered others by trying to change things for them rather then Inspire, Encourage, Empower and just Love them. Being there to believe in them, have faith and trust that they’re on their own path. When you catch yourself wanting to “help” someone by giving them your opinion, advice or wanting to change things for them, STOP, take a deep breath and bring the focus back to you and why you think you need to change those around you. It’s no longer about them, it’s a reflection of you. Be in relationship with yourself. Put your focus on your happiness first. Let go of the attachment, idea or belief that isn’t serving you.. Not the person, it’s never about them. Your needing for others to change, your uncomfortability, is only in the attachment that others should somehow be anything other then they are. Others don’t have to do everything you do or live the way you live. It’s all a choice and we all have our own paths to follow. Remember, your version of happiness isn’t the same as theirs. 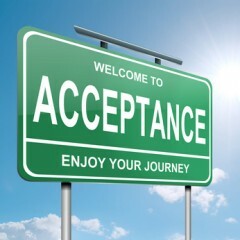 When we learn true acceptance, not only do we get to give Acceptance but we get to receive it too. True acceptance always starts with self first. All parts we accept and appreciate in ourselves will be the same parts we accept and appreciate in others.